Take the fear out of curved seams with the use of freezer paper templates. The freezer paper helps to hold the fabric's shape while sewing the curved seams. The finale is how easily the optional corner sections are attached to the 28" centerpiece. 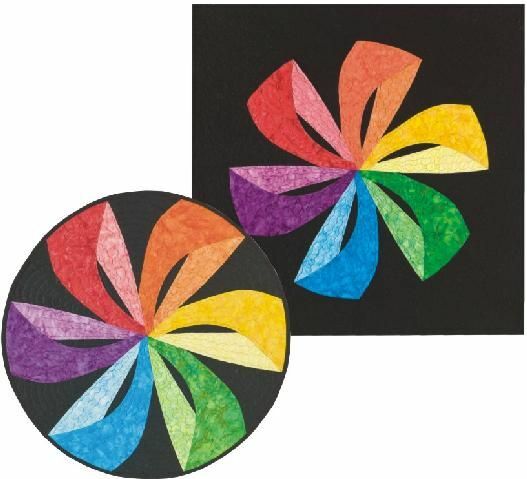 Finish as a 28" circle or a 33" square, it can also be used as the center of a medallion quilt.